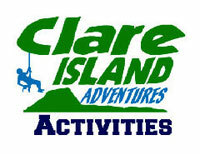 Clare Island Adventures is a group of three local businesses who have joined forces to promote Clare Island as an adventure activity hotspot. Go Explore Hostel & Sailor’s Bar & Restaurant – we’re the Clare Island locals and experts! We’ve grown up on the island and know it inside out and upside down. Originally the House of the O’Donnell’s, landlords of the Clew Bay area in the mid 1800s, the hostel sits on top of a small cliff surrounded by open Atlantic waters. 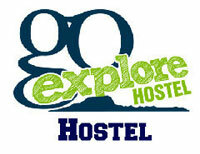 In 2012 the building was completely renovated and purpose re-built as a modern hostel with high quality facilities. In addition to stunning views, it also boasts an in-house traditional bar which hosts traditional music, dancing, food and craic every weekend. 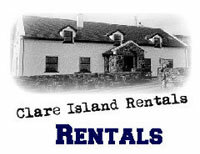 Clare Island Ferry Company – we’re the people who get you there! Operating from Roonagh Pier, just outside Louisburgh, we run daily ferries all year round to Clare Island and we’re also happy to arrange private ferries to Inishturk or Achill Island for pre-arranged group bookings.